At UYEE, mechanical production is used for the prototype manufacturing and Short Run Production from original materials, for milled original models, for post-processing of plastic and metal models from vacuum casting and CNC machining, and for the rapid manufacturing business unit. CNC turning-milling machines as well as state-of-the-art 5-axis machining centers in combination with a robot system of the latest generation increase our capacities and ensure a smooth automation to make production go well. Metal parts can be manufactured and processed out of the clock, seven days a week. The UYEE alignment allows the production of serial and individual parts as well as prototype model. Our turning, milling and turning machines can produce complex models and components from original materials. The operators have vast experiences. in the usual rapid prototyping time frame from a few days to weeks. The systems also produce components that would not be sufficient for functional tests in other processes. Not only Aluminum Prototype and other metal prototype available, but also, transparent parts of PC and PMMA can be manufactured and polished. For a professional manufacturer, these technologies are also used to mechanically post-treat the plastic and Metal Prototype Service. Measurements taken into account previously are equalized and processed according to the 3D CAD data and drawings. The file format for turning, milling and turning are: x-t, IGES, PDF, and STEP. We accompany your project from the prototype construction to the ended product. with many years of experience, short distances, flexibility production schedule as well as advanced technical knowledge ensure the best performance for you in the mechanical production of workpieces and assemblies. We are committed to ship highly accurate, consistent components to our clients and continually analyze, we have been improving our CNC machining process to increase efficiency and improve performance. Strategic new equipment investments and skilled employees ensure our team remains a strong manufacturer that keeps pace with its clients’ production demands. In addition, through by using equipment that supports multiple pallet set-ups rotating plates that support the work pieces – components are able to be loaded and machined simultaneously, in the mean time, offering significant time savings to the whole production process. When you are looking for help with Milling Aluminum parts, do you know that there are a variety of factors in play? Not only do you have time deadline, delivery on time, but also have a budget which is why many people choose to work with us. Over the years, UYEE has developed unique production processes and custom engineering to meet the requirement of our clients. With our CNC aluminum machining expertise, we try to set up ourselves divide into the competition by combining technology, skills, experience, and knowledge. Since they can be used for CNC machining and turning in shorter time periods, they become more economical and the sensible choice for most case. As soon as the material is exposed to the atmosphere, a protective layer can be formed that provides resistance to corrosion in addition to more strength.. Among other things, CNC Aluminum Machining parts will be malleable, strong, chemical-resistant, and a conductor of electricity which has its obvious benefits. This is quite important for usage. For these reasons, we have decided to spread the word and get more and more people interested in this case. Now, we stand as one of the top suppliers of machining aluminum and we would like to stay here for some time to come! 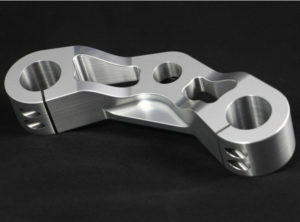 Machining aluminum parts is another specialty of Precision grinding services. We make use of work-piece clamping and vacuum systems to enable us to perform machining aluminum and other non-magnetic parts with a high level of precision. Among the aluminum parts that we can machine include aluminum extrusions, table tops, dial plates, index plates, molds, and side frames. Our CNC Vertical Milling Center is an ultra-accurate 4-Axis CNC Machine holding tolerance levels from +/- 0.01MM. Equipped with a forty capacity tool changer, our precision machining center can handle small-sized, large-sized, small-quantity or large-quantity orders with precision and speed. Quote requests and jobs for precision machined parts come in a variety of quantities, sizes and shapes. We can complete and ship complex, larger and irregular shaped machined parts and Low Volume CNC Aluminum to you fast and on time.